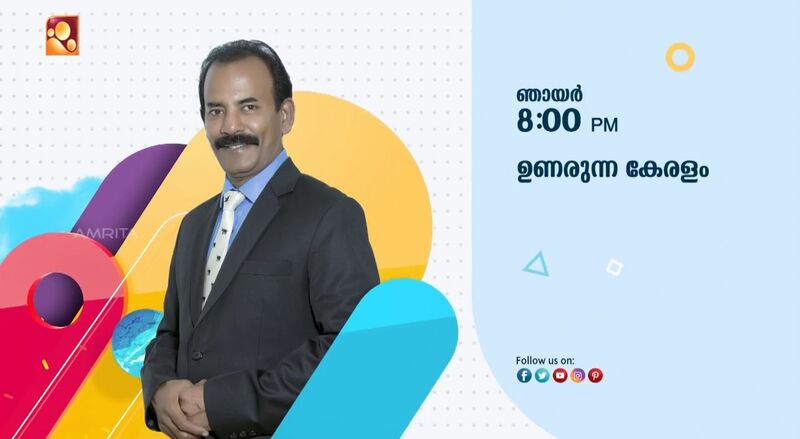 A full-fledged Current affairs issues and Serious social causes, Unarunna Keralam launching this sunday on Amrita TV.This show throw out various current affairs issues and serious social causes to offer a tangible solution for the issue. Eminent Guests provide valuable insights to solve issues . A highly influenced Actior Major Ravi is the host of this show. Major Ravi is an indian film maker and actor in Malayalam Cinema . He also served as a major in indian Army. Some of the issue highlight in the show Unarunnu Keralam are as Follows:- Pattinte vazhi , Chirikkan Maranna Malayalee , Madhyama Dharmam, Marunna malayalee, Vidhyabhyasathinte Dishabotham, Keerthi chakra etc. we have already posted that amrita tv launching some new serials and shows. they have already started the malayalam mythological series kumara sambhavam. comedy masala is another new show started on the channel. popular malayalam mini screen artists appearing in this comedy show. Amrita tv launching some fresh shows in the prime time slot. we can expect more shows, serials etc on the channel.